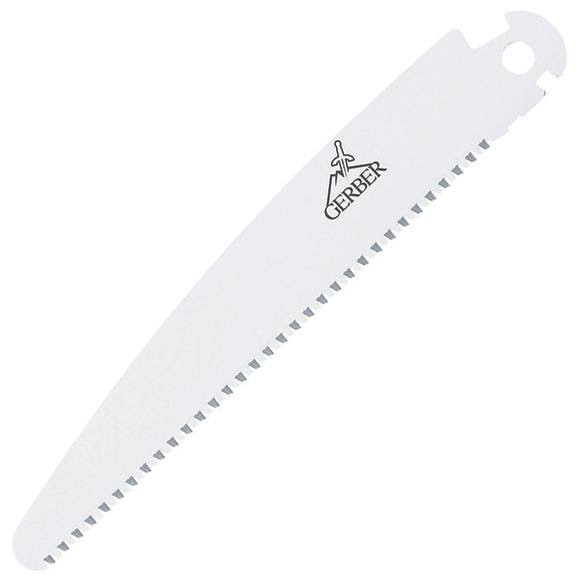 Gerber had the big idea some time ago: Craft a handsaw with interchangeable blades and a handle wrapped in their famous Gator texturing. But now they've upgraded the concept to be stronger than ever. With beefier construction and an improved blade exchange mechanism. Here's the replacement blade! Gerber had the big idea some time ago: Craft a handsaw with interchangeable blades and a handle wrapped in their famous Gator texturing. But now they&apos;ve upgraded the concept to be stronger than ever. With beefier construction and an improved blade exchange mechanism.